Welcome to the College of Charleston! We are so happy to have you as fellow parents. We hope this site will help keep you engaged and informed, as we want you to feel like parent insiders. The College of Charleston is truly special in terms of its place, its history, and its legacy of being a student centered liberal arts school. The College stands ready for the boundless momentum that exists to meet the needs of our students, campus, and alumni. We want to make sure you have a connection to the inside of campus. We encourage you to get involved and stay informed! Come to Family Fun Day! Sign up for the Parent Listserv. Watch your inboxes for the Family Insider E-Newsletter. Make a gift to the Parents’ Fund. Attend an event on campus. We think you will find being a CofC parent special and rewarding, and we hope you will join us in supporting this superior public university over the next four years and beyond so that boundless opportunities will prevail. 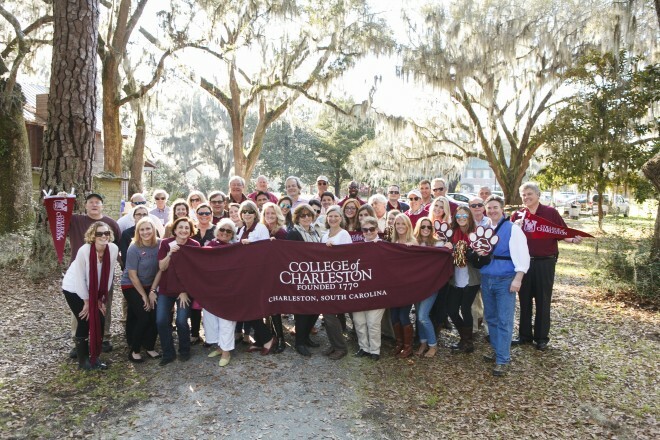 We hope to have the chance to cross paths soon, as there is a special bond among CofC parents!